Home > Blog > AI and Marketing Cloud Technologies: Why The Gap is Still Big? The science of marketing is becoming more complicated and sophisticated in the last few years which left us with unpredictable scenarios for the future. In marketing industry, I believe the 3 fundamental key areas are human psychology and how the consumer behavior evolved, the commerce trends and finally, and most importantly, the technology. Today’s technologies, such as clouds, machine learning, data analytics, and artificial intelligence (AI), are changing the way marketers build their strategy on a tremendous level. The biggest question now is: What is the current status of MarTech? Did we arrive at the point where AI is fully reliable for marketers? In order to answer this question, we should look closely at the top tech players in the industry, which are ‘the marketing clouds’. We have been looking at Marketing Clouds from all sides and still, somehow, we are still able to spot a big gap between the marketer’s needs and the available technologies provided by these platforms. Looking at the current scene of marketing clouds would bring some strange conclusions. One of the main common facts that we know about marketing clouds that it all started with different approaches. Marketing clouds have different anatomies, technical structure, capabilities and commercial priority which brought in many obstacles for enhancing automation, predictive models and the enablement of AI. Well, each marketing cloud has a unique character that suits it to particular types of clients and points toward its likely future development. 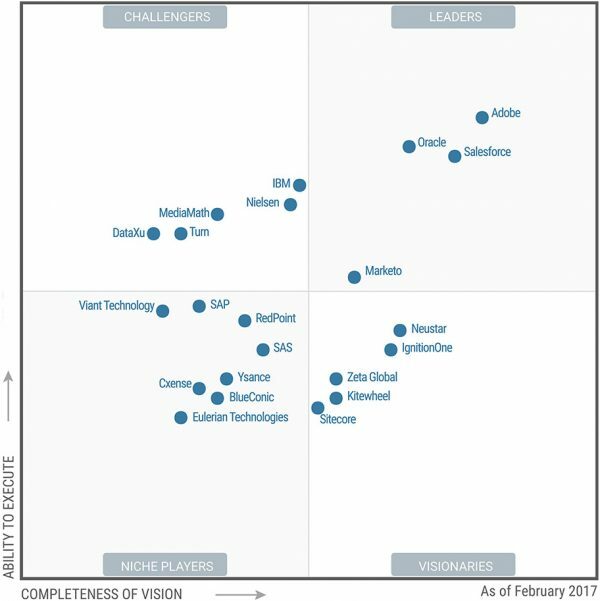 The front line competition between two clouds such as Adobe vs. Salesforce is not driven by AI, after all, it is a lot more likely focused on expanding technical functionality, aggregated data sources, and dashboards visuality. As a marketer, I believe that AI could be implemented in every marketing process but while I review and implement technology stacks I end up with the fact that each cloud has its own different priorities which technically doesn’t fit all the marketing department needs. In other words, the clouds have it is own complicated layers of tech and securities which are not as straightforward as marketers see it. Finally, we come to another piece of the picture: Marketing clouds is relevantly a new technology, so it shouldn’t surprise you to know the term ‘artificial intelligence AI’ means lots of different things to each cloud. Recently the Oracle’s VP, Jack Berkowitz, agreed definitions were problematic and sought to provide some clarity. Since we have at least five major enterprise software players are selling marketing clouds – Adobe, IBM, Oracle, Salesforce, and SAP – the commercial factor is playing a key role in this game. The market share is strategically more important for such tech giants than experimental AI enhancement such as ‘dynamic predictive segmentation’ which is still not fully mature yet. The market share is leading the competition in the cloudland and big clients needs are what they need to secure before moving into more bold steps towards midsize brands and agencies. Here is a hint: Big clients are more concerned about handling a huge amount of consumer data and advertising budgets than performing advanced personalization experience. I hope you get the image! Investors and business leaders are usually concerned about the maintenance of secure data within the organization; these execution difficulties brought a restricted environment with a small room for experimental processing and tighter margin for automation. In conclusion, priority was given to keep up with a secure processing, while customer experience problems took a backseat and a big part of it is still dominated by sales and customer support departments. The fellow marketers armed with AI are still struggling inside the old fat big organizations to apply their experiments. The limitation is created by the organization mindset is pushing the marketing clouds priorities towards fulfilling the IT needs vs the marketers’ needs. We have seen many promising approaches to fix this gap from Salesforce and IBM in the past year and we hope the predictive models will demonstrate more effectively this year. In 2017, we have seen some advanced machine learning techniques implemented but yet marketers are not satisfied. In marketing departments, we are still running manual sheets and relying on a variety of tools to get what we need. In one survey, 82% of enterprise marketing professionals said they used components from more than one cloud; the other 18% were more or less loyal to one platform. There are over 5300 marketing tools available and the new startups are developing more specialized ML and AI solutions for marketers. This number is crazy and at the same time painful for CMOs who are trying to establish their technology stack effectively. So far we still believe that marketing clouds are not an all-in-one solution and we have to go shopping for several tools to build up what we need. 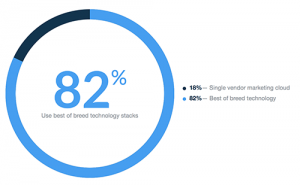 So when the time will come when the cloud beat the technology stack? I wonder! Like any sophisticated system, the marketing technology can only go so far with a good data. If you lack good data, you’ll still end up with poor results out. One of the AI functions is training the system and having good signal going in which is still a hard job with the poor correlations of data sources used by marketing professionals. Marketers are dealing with different structured and unstructured data including real-time data sources, AdTech data, sales data, offline data which requires sophisticated data processing in order to run a complex AI technology. Not to mention that the data will have to run in different cycles such as seasonality, trends, and quality assurance processes. Overall, marketing data is not easily sorted and the bigger the numbers, the more complicated the process. The marketing clouds need first to integrate a system that’s not only smart algorithmically but is also smart about its data sources. It seems we are still struggling in that phase at this moment! In marketing, we believe that the context of data is more important than having structured data. 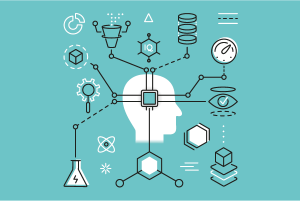 For each industry the requirements are different and a machine learning solution must be reliable enough to understand the context of a situation and then give you the proper aid to be able to amplify your capabilities in that situation. Automation is not technically the final destination for such path. There are many approaches that might drive marketing analysis in different directions which marketing clouds need to consider before taking a bold step. As we know that the clouds are not custom built for such task, we will have to rely on marketing professionals and data scientists to role this. Paying for the cloud support is not the answer to this question based on my experience. We have to build another internal layer of technology to activate the AI functionality offered by the marketing clouds. Yeah, it is as complicated as it sounds! Are we already comfortable with letting machines make the decisions? You would often see many leaders in the market announcing that the marketers are ready for letting machines make the decisions. This might be technically true but marketers are still struggling with proving this point to business owners and decision makers in brands and agencies. AI is a big concept theoretically, but in reality, it’s about executing against a strategy more efficiently. I believe that the definition of AI will evolve over time, as marketers learn more and the technology itself evolves. The digital marketing has moved from the basics of web analytics and content A/B testing to predicting consumer behavior before it happens. As a marketing consultant, I believe that we are in the moment where AI should start controlling reality. It’s not rocket science, but it’s all the little pieces of enhancements that will come together to help make better decisions. Marketers should be ready to move from ‘automation’ to ‘intelligent automation’ stage. Marketers need AI to setup the rules for the huge and complex amount of segments and not just processing these the rules in a timely fashion. Advanced machine learning, pattern recognition, and predictive modeling bring high-value actions and hyper-targeting at the individual level instead of the segment. The current status of Marketing Clouds and where we are going? Marketing clouds are evolving fast and the amount of investment in AI is increasing. We expect to see more of advanced functionality this year. Adobe is an experience company, who has invested down the stack, but its bromance with Microsoft shows the limit of its appetite to own it all. In the other hand, IBM with its Watson is investing heavily in its AI-driven customer analytics. While SAP can be expected to invest in tools to help enterprise customers expand e-commerce across the customer lifecycle, Salesforce is growing fast in adaptation to personal data and personalization with their Einstein technology. To conclude, I believe that it is not easy to plot marketers’ needs in layers from emotion to execution. Marketing clouds provider still need to put more of efforts in the right direction in order the activate AI technology in more complicated tasks. We expect clouds that can handle complex data and workflows around first and second party data to thrive. It is essential for clouds to invest in dynamic predictive segmentation and fund AI startups that promise to deliver an advanced management for marketing channels. In a world where everybody struggles to own the customer data layer. The more the clouds change towards AI, the more they stay in the same size in future and survive the competition. I hope you take the time to share your experience and discuss your opinion in the comments so we explore different sides of this topic.